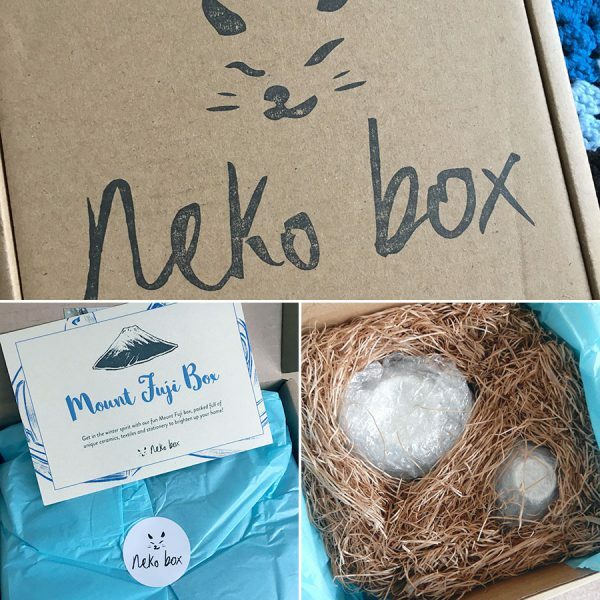 Neko Box Japanese Subscription Box Review - Super Cute Kawaii!! 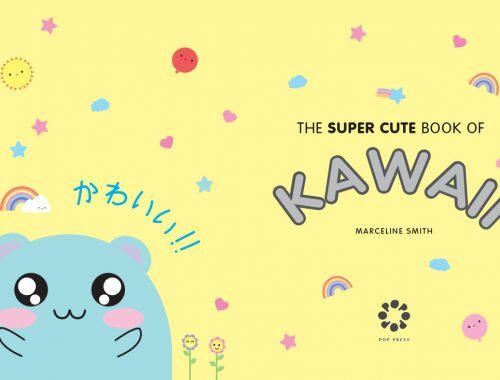 While we’ve reviewed lots of Japanese candy and kawaii subscription boxes, Neko Box had something different to offer us. 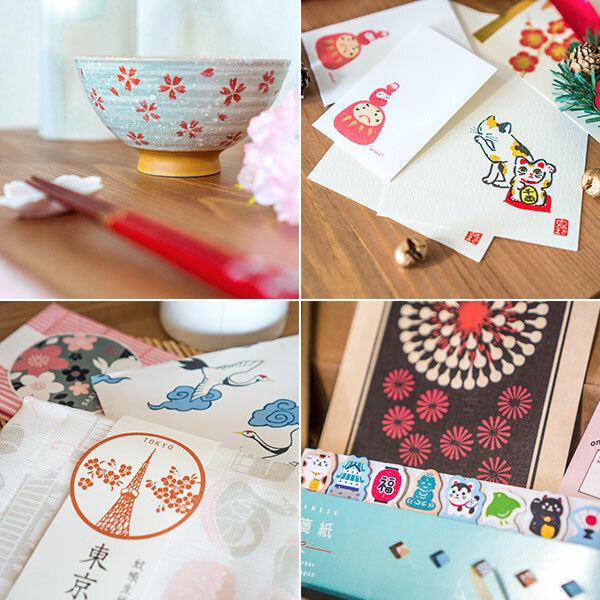 Their monthly boxes contain themed Japanese lifestyle goods including stationery, ceramics, prints and crafts. 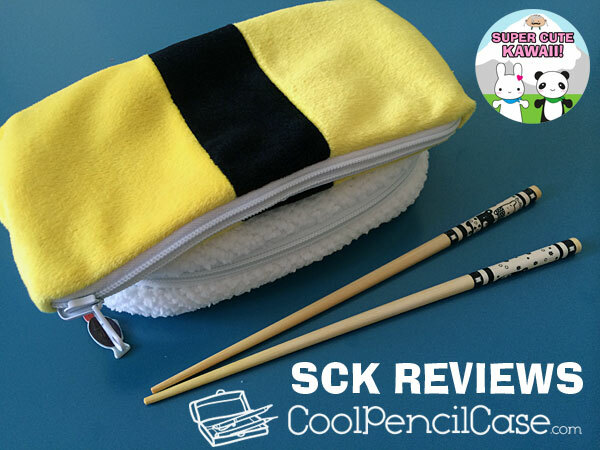 Read on for a full review plus there’s a special offer for SCK readers! 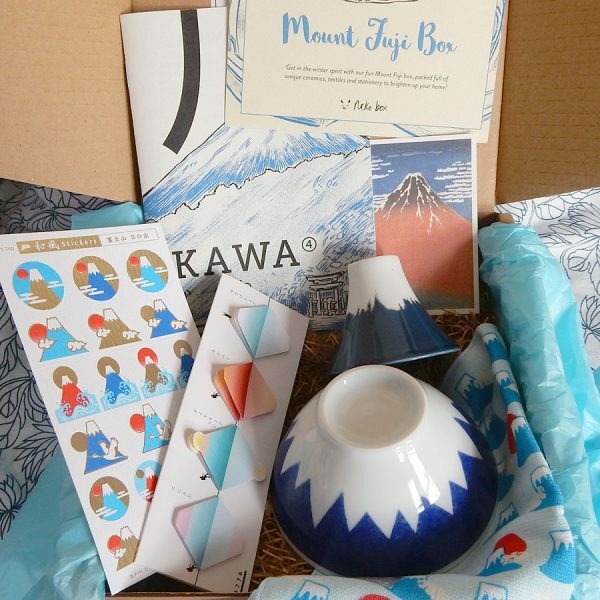 I was especially delighted to receive the Mount Fuji box as it’s such a Japanese icon and I’ve even been up it (on a bus). The box arrived quickly and everything was in perfect condition thanks to the very careful packaging. The ceramics were packed in layers of bubble wrap as well as shredded paper filler so you’d have to be very unlucky to see any damage. 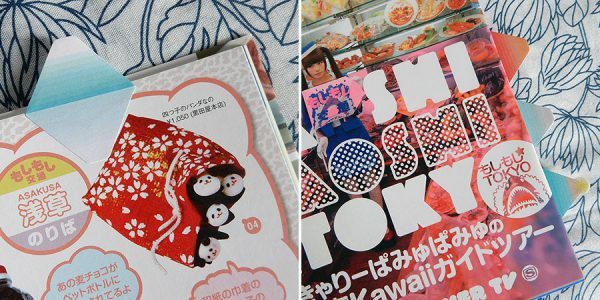 Neko Box costs $34.99 + shipping so it’s not the cheapest box on the market but you do get beautiful high quality items and an exclusive mini magazine that all match the theme perfectly. I was pleased to find this little hand towel as I almost bought it myself when I was in Japan! I ended up getting a polar bear design from the same range, which I’m still using a year later, so I’m happy to have this one too. Little terrycloth towels like this are a must buy when you visit Japan as many public toilets don’t have hand dryers, but they also make great face cloths. 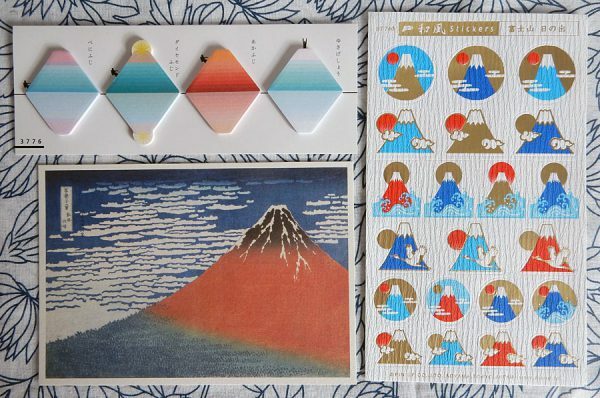 You can’t go wrong with stationery and there were some great choices in this box with stickers, sticky memos and a Hokusai Mt Fuji postcard. 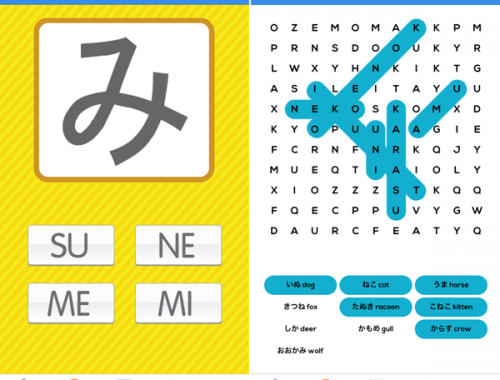 I nearly bought these stickers too so Neko Box really have my number. 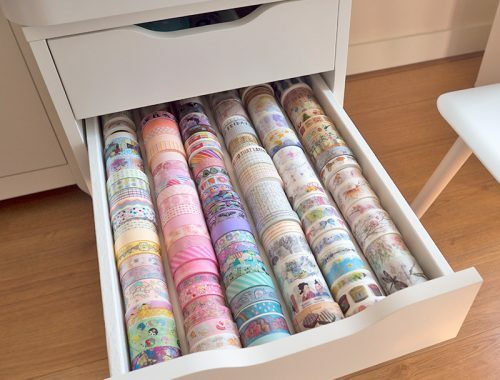 They’re made from a lovely textured paper with shiny gold foil and there’s lots of different designs and colours. 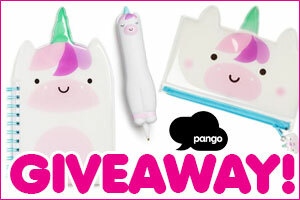 The sticky memos are very clever as the reflection sticks to the page and the mountain sticks out. 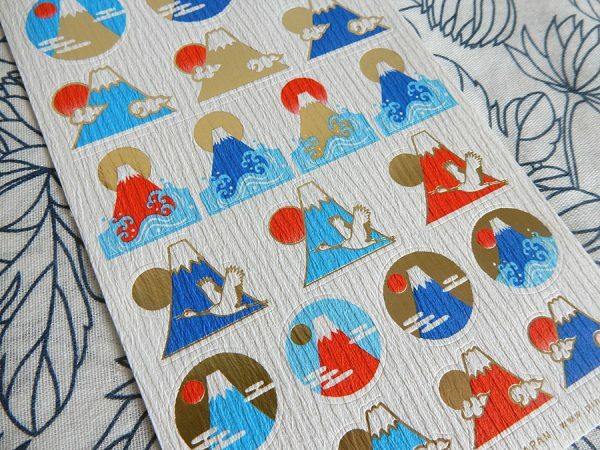 They’re perfect for bookmarks or for planning your Japan trip. Lovely as all those were, the main draw for me was definitely the ceramics. 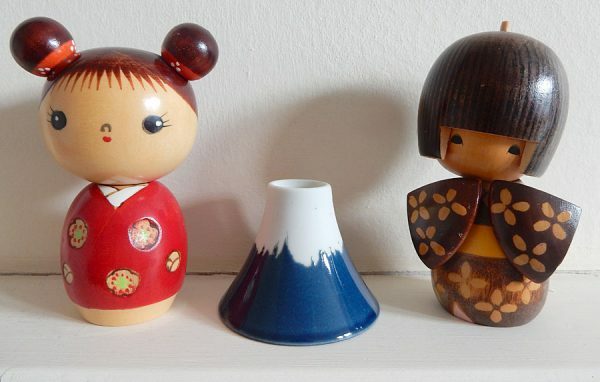 I have quite a few ceramic pieces from Japan and was delighted with both these additions to my collection. 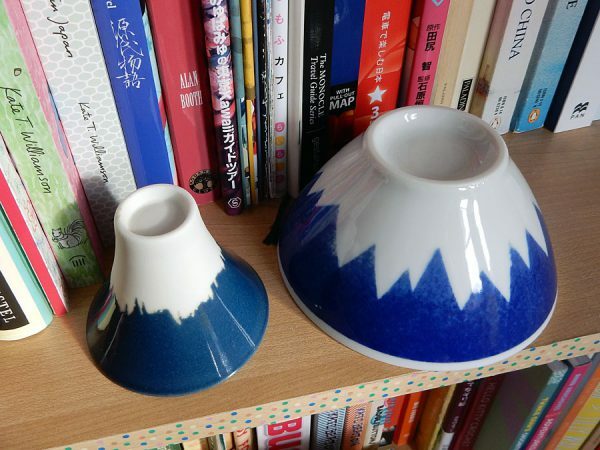 Both the rice bowl and sake cup are made in the Gifu region and look like Mt Fuji when turned upside down. The bowl is a great size for rice and miso soup or just for fruit and snacks, or even dumplings? 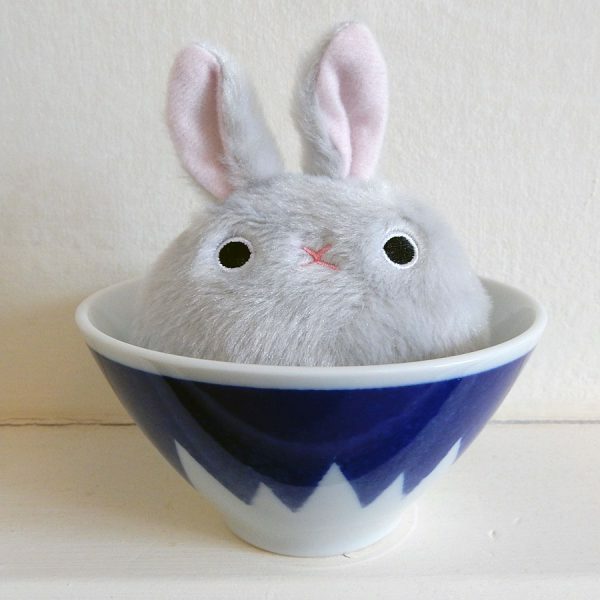 Preferably bunny-shaped! The sake cups are all unique as the glazing is different on every one. The snowy top is left unglazed, which makes for a nice contrast. This is my favourite thing in the box, even though I’m not really a sake drinker, as it makes a cute ornament for my Japan themed mantelpiece display. You can tell a lot of thought has gone into the box contents as even the extras are beautifully designed. 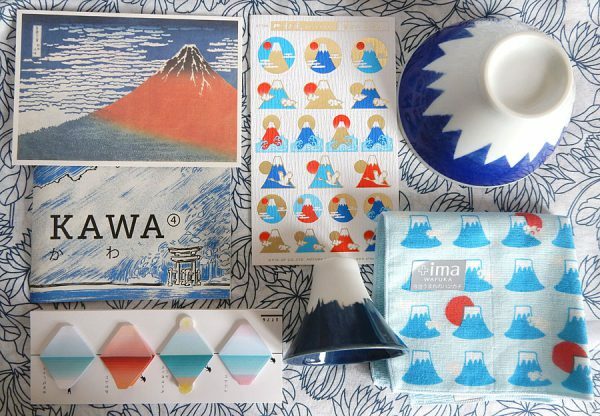 There’s a postcard with information on each item and a separate KAWA travel zine plus a couple of promo cards with a discount that you can pass to friends. 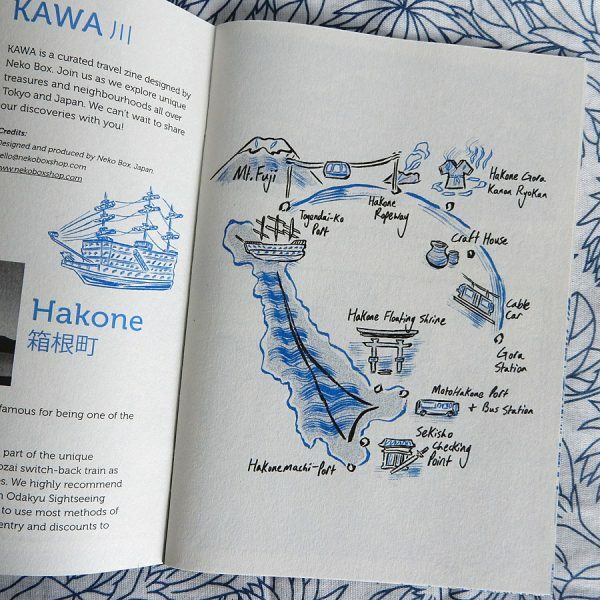 This issue is themed around Hakone where you can get great views of Mt Fuji and has history, travel information and recommendations all with original illustrations, plus a hand-drawn map. Since I’ve only visited Hakone on a bus tour, I would love to do the whole round trip someday as it involves a cable car and pirate ship! I’ll definitely be keeping this for when I plan my next visit. This was one of my favourite subscription boxes ever as it really felt like a good friend sending a box of things they knew I would love and everything here is something I might have bought for myself. 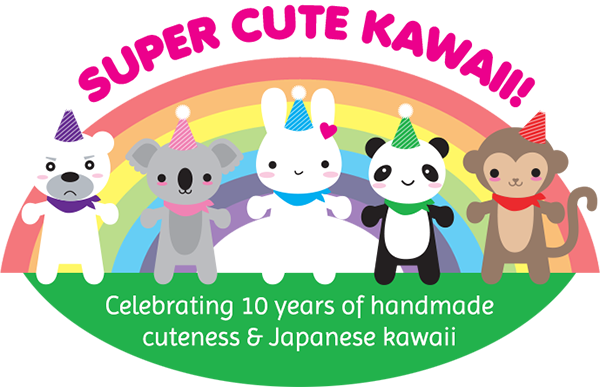 It would make a great gift for a Japan-obsessed friend who likes traditional designs as much as colourful kawaii. However, there are a couple of downsides. 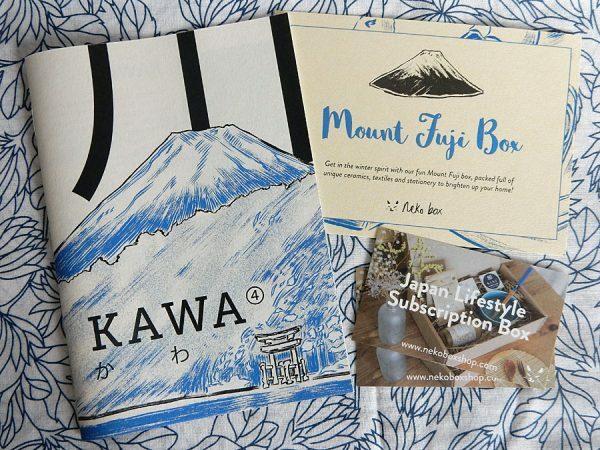 While it’s good value, the shipping is extra and that makes it one of the more expensive subscription boxes. I also annoyingly got hit with a customs fee which added an extra £12 on top. 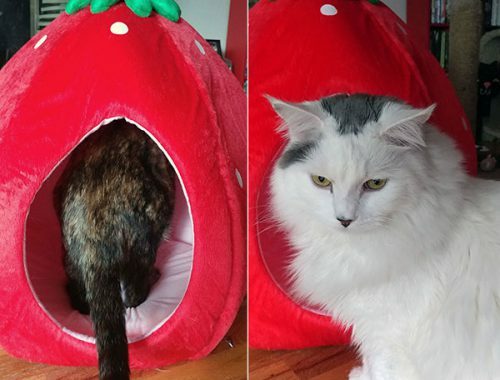 That’s obviously not Neko Box’s fault but it’s something to be aware of if you’re in the UK or Europe. I’m not sure it would happen with every box as it depends on the contents and shipping type (and sheer luck sometimes!). 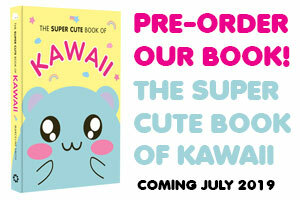 Even with a customs fee risk, I would still order a one off box if I really love the theme. 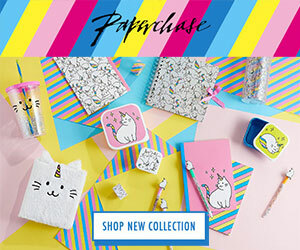 Neko Box costs $34.99 + shipping for a single box with discounts for longer subscriptions and SCK readers can get $6 off your first box with the code SCK6. 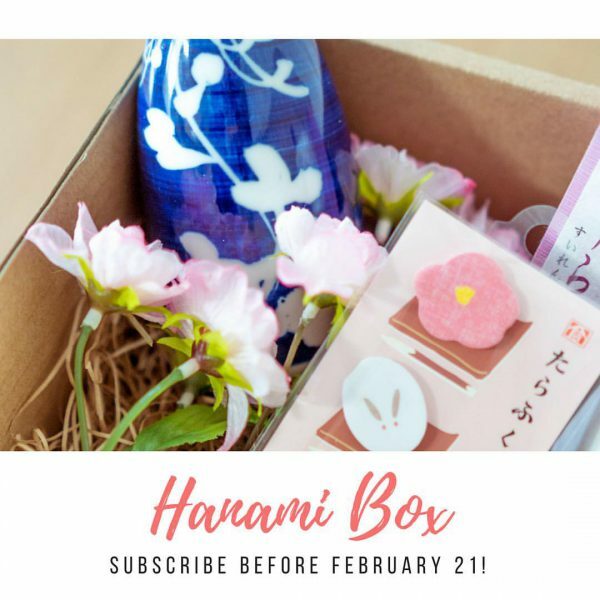 The March box has a Hanami theme with lots of sakura cuteness and you’ll need to sign up by tomorrow to get one. 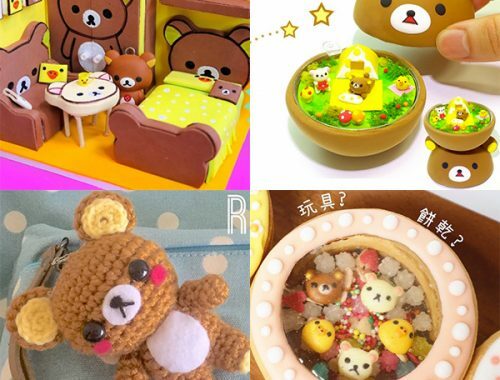 If you miss out, they’ll also be selling some of the box items individually in their one-off shop. What do you think? 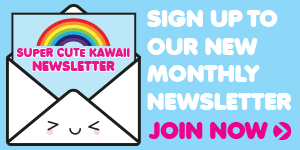 Will you be adding Neko Box to your subscriptions? This box looks great. 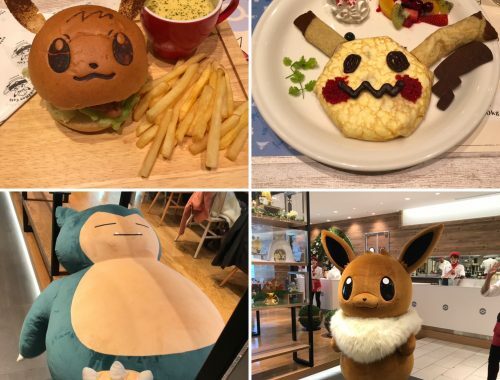 I really like every item reviewed. 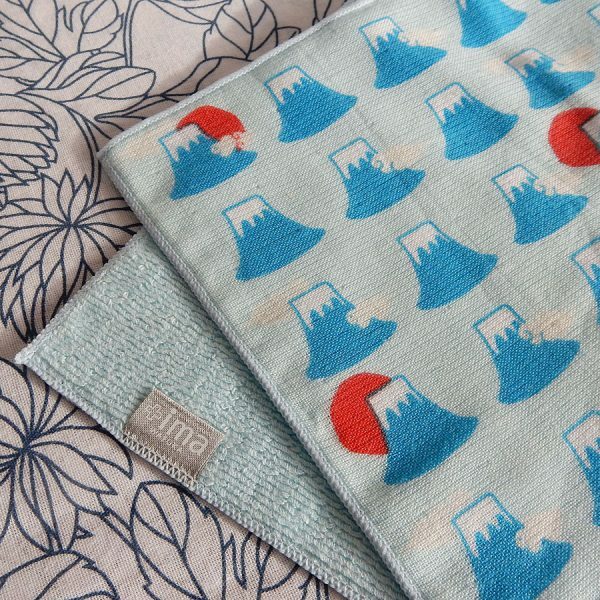 I picked up a hand towel last time i was in japan, and love mine. The ceramics looks great too. Shame it’s so expensive, with postage and tax on top.